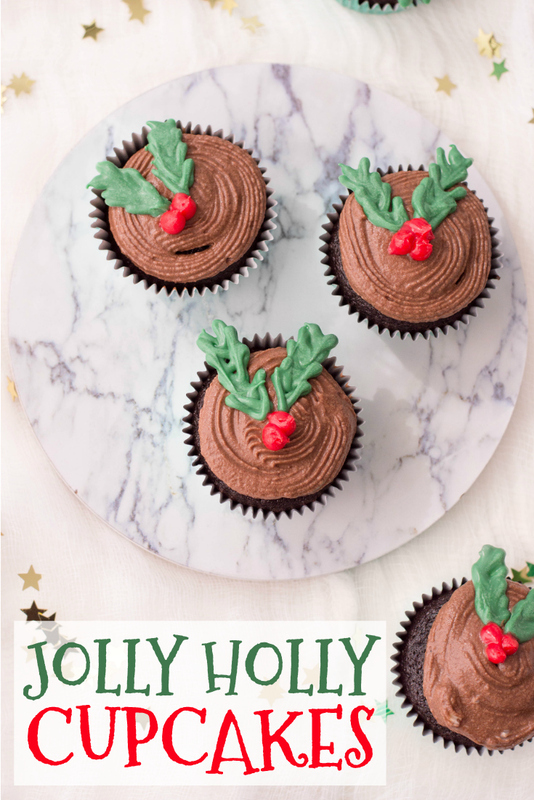 Today on the blog I’m sharing a super easy recipe for Jolly Holly Cupcakes. I am a baking machine during the holidays! 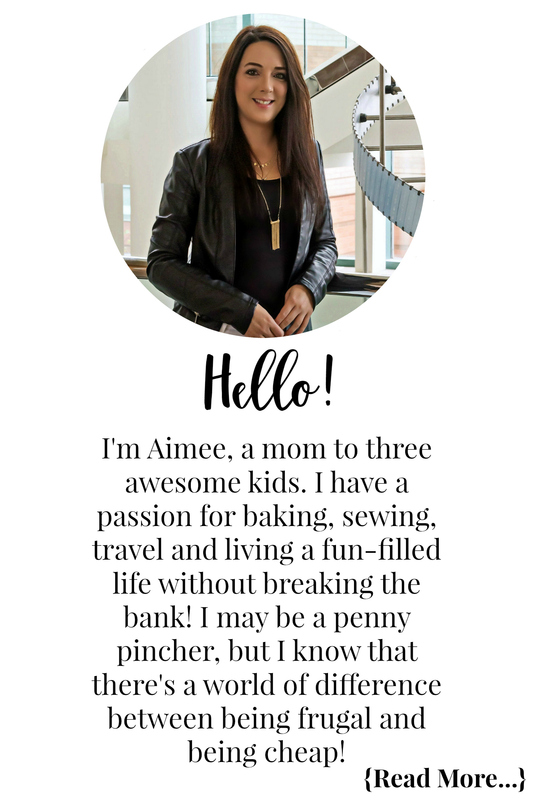 With two big family parties, one I attend and one I host, I am forever baking treats for everyone. 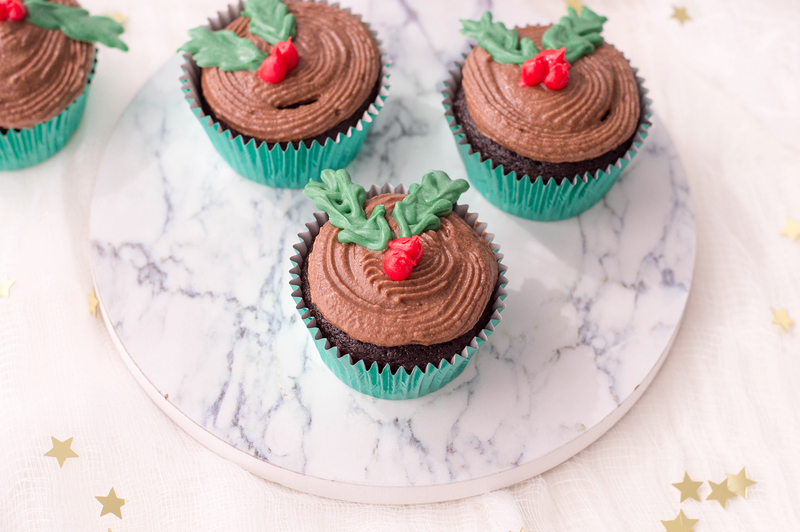 These adorable Jolly Holly Cupcakes are so easy to make and super cute! 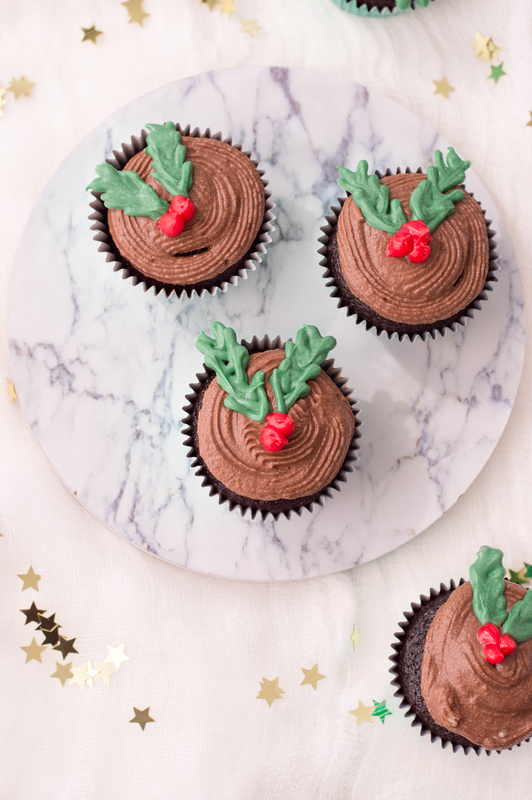 Whip up these perfect Jolly Holly Cupcakes for your family and friends in a snap with this easy recipe! Bake your favourite cupcake recipe or one from a box, no one’s judging! 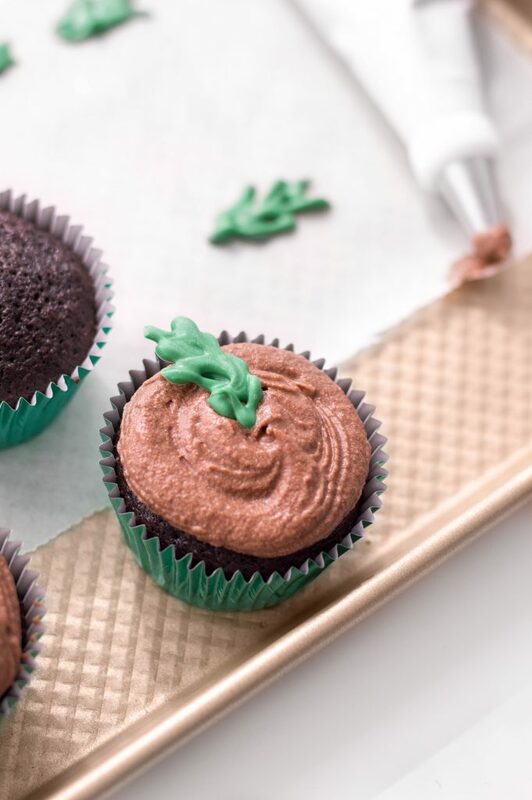 Before you start decorating, ensure that your cupcakes are completely cool. Using an electric mixer, beat together butter, confectioners’ sugar, cocoa powder, and milk until smooth. Your chocolate buttercream is ready once it forms semi-stiff peaks. 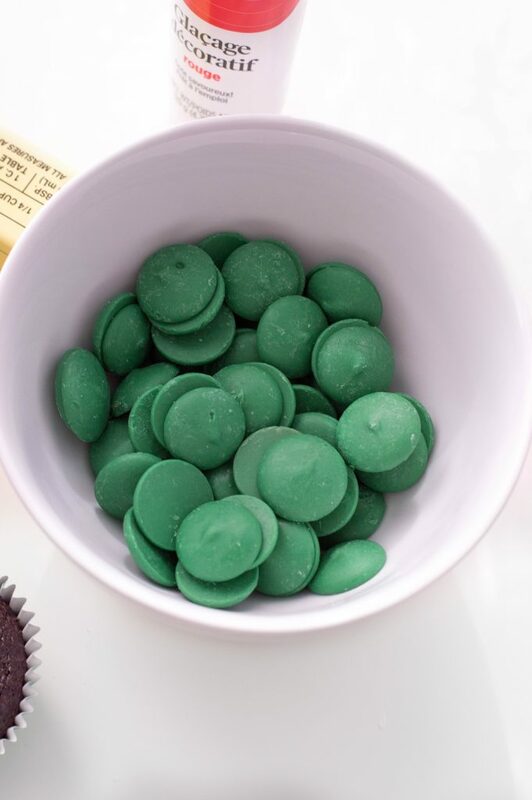 In a microwave-safe bowl, microwave green candy and coconut oil in 30-second intervals until completely melted. Scoop the melted candy into a sandwich bag and cut a small slit in one corner. 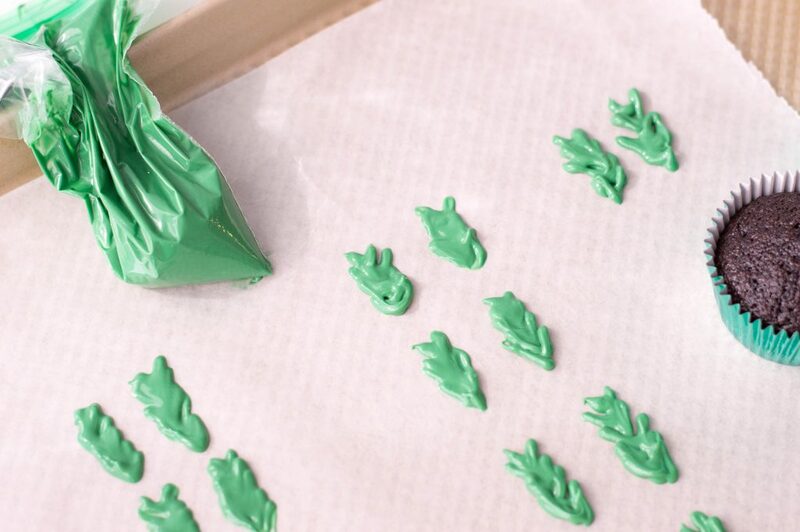 On your lined baking sheet, draw out the leaves to your holly, about 1 ½ inch in length. The easiest way to draw them with the candy melts is by continuously piping a “v” shape and working downwards. Draw 24 of them and let them set for about 15 minutes. Place 2 leaves on each cupcake. Last but not least, pipe out red dots with your red decorating frosting. Once complete you can pop your pretty Jolly Holly Cupcakes onto a plate. 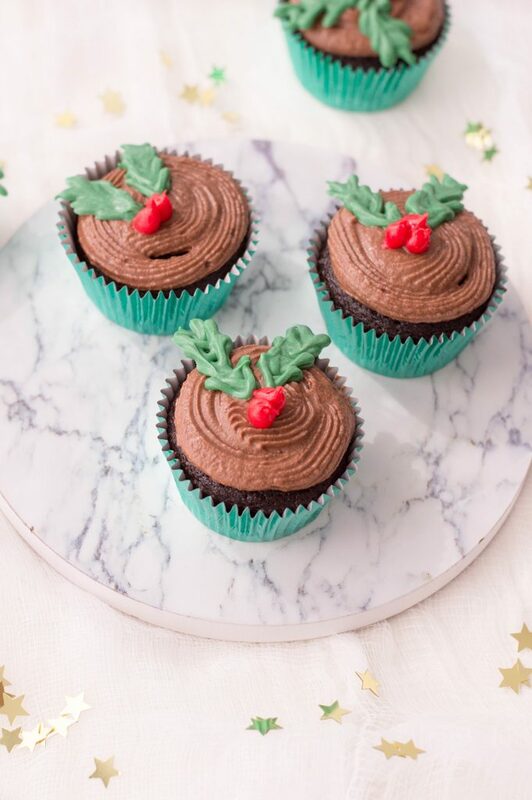 Whip up these perfect Jolly Holly Cupcakes in a snap to serve to your family and friends with this easy recipe! 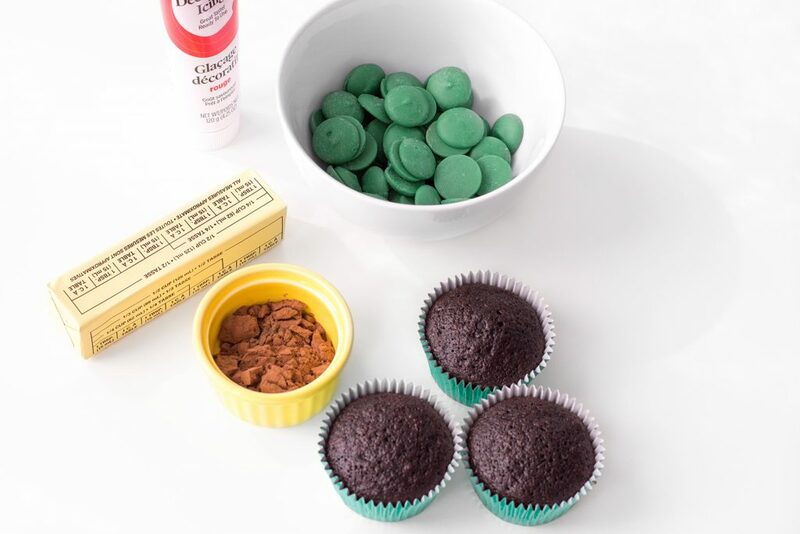 Bake your favourite cupcake recipe or one from a box and ensure that your cupcakes are completely cool. 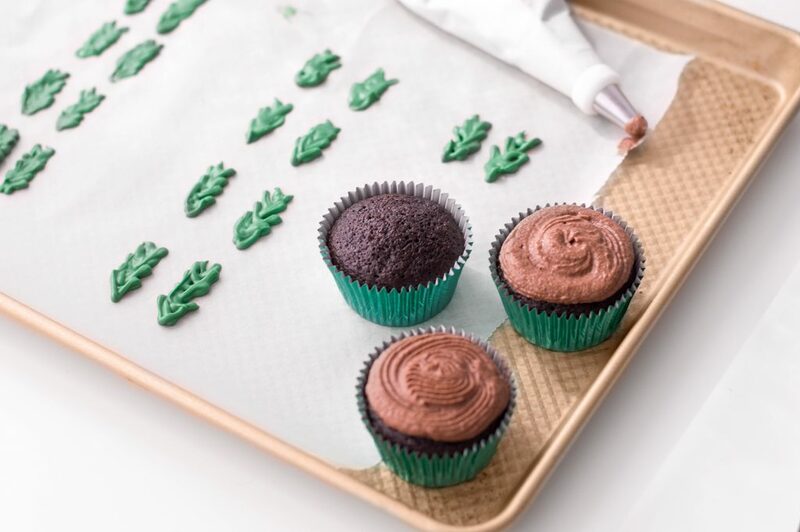 Place 2 leaves on each cupcake and pipe out red dots with your red decorating frosting. Check out the Holiday Recipe section on the blog to find more great dessert recipes to serve your family! 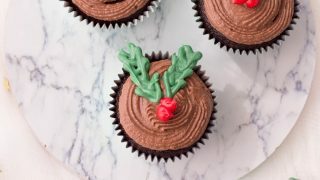 These are perfect for the holidays, and they are very easy to make which helps at this busy time of year! I love the festive look of these cupcakes! Thanks for the instructions. These are super cute and look super easy to make which I love. I was just thinking to myself how did you get the greenery to stay that way! CANDY MELTS!! Duh lol def going to try this for my cupcakes!